Depending on your reading preferences, you may take this list as suggested reading, or as titles to avoid! 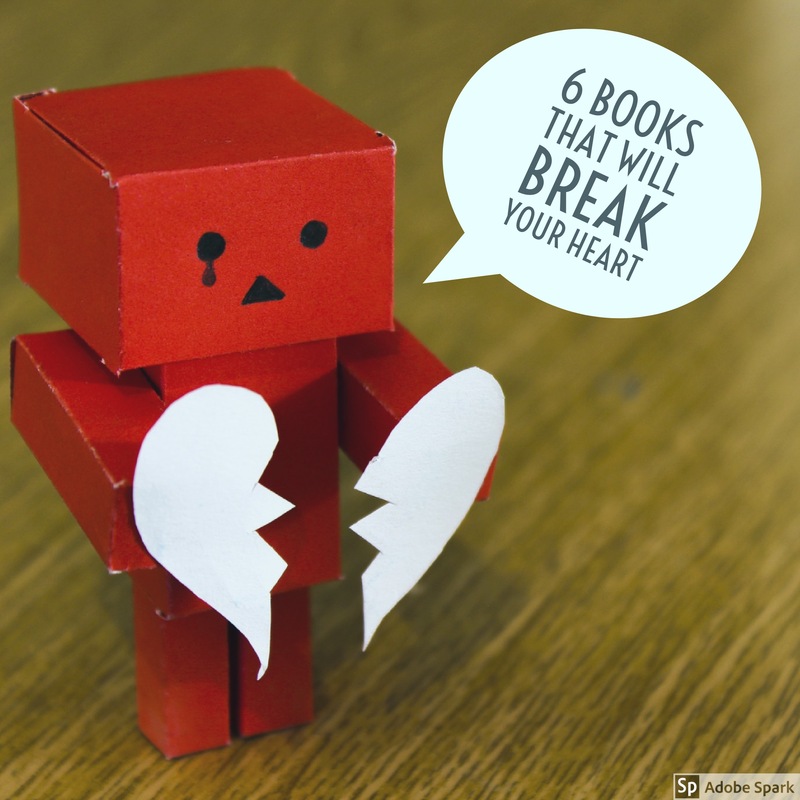 Each of these books are stunning in their own way, featuring top notch writing, and they will break your heart in different ways! This short novel packs a powerful emotional punch. The writing is simple yet lovely. It’s a sweet, enjoyable story, and the narration of the audio book is excellent. When two neighbors, both widowed, begin spending time together to ward off their loneliness, they face consequences they hadn’t imagined. I was upset when I finished, and considered giving a lower rating but it was the characters’ I disagreed with, not the writing. I’ve realized that’s a mark of a well written book! It’s a quick easy read but generates a lot of feelings along the way.It’s a wonderful exploration of family, friendship, and what loneliness truly means. 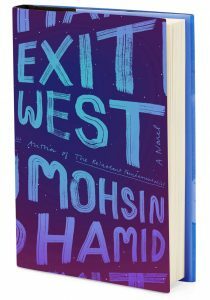 This gorgeous novel is unlike any I’ve encountered before. A war time setting makes this love story much different than it would be otherwise. The frantic passion is palpable. Migrants suddenly turning up in foreign countries is a timely topic, and this book really made me contemplate the state of the world. The story is beautifully told in a unique writing style. Some paragraphs are composed of one long sentence. I don’t know that I’ve ever seen that work well, but Hamid pulls it off with grace. 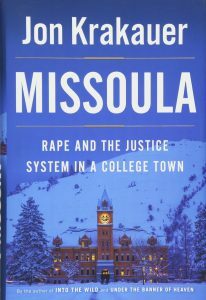 An incredibly thorough account of a widespread issue that has no satisfying resolution, this is an incredibly interesting yet horrifying read. I was slightly traumatized after completing the book, as it caused me to reflect on my life as a younger woman and the “stupid mistakes” I made. It’s a powerful story that needed to be brought to into the spotlight. Unfortunately, it doesn’t bring any closure to the subject. Remember this scene from The Silver Linings Playbook? I thought this was hilarious. Then, a year or so later I read it. I closed the book in bed, turned to my husband (Hemingway is his favorite author) and asked “Is this the book Bradley Cooper threw out the window?” He started laughing immediately. I hope that’s not too much of a spoiler for those who haven’t read it. It’s not a “stupid” book or a bad book by any standard. 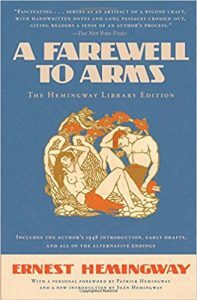 It’s Hemingway’s typical style and representative of that era of fiction. There were parts of the novel I enjoyed, and parts I had to re-read three times to figure out what was going on. 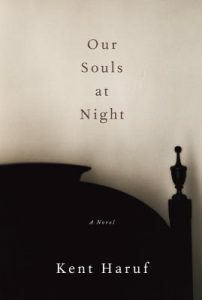 This novel is compelling and beautifully written. 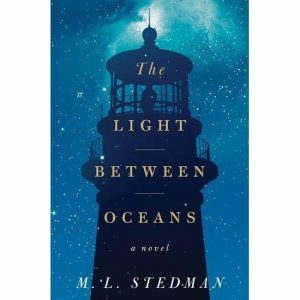 The story of a lighthouse keeper and his wife, who is unable to carry a baby to term, and as a result make a shocking choice that has repercussions for decades to come. The story is based on the concept that there are some situations in life to which there isn’t a “right” answer. It’s a powerful exploration of love and family, and also honesty and justice. 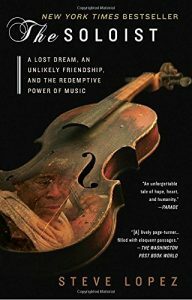 Steve, a columnist for the Los Angeles Times, encounters Nathanial, a homeless man, playing a two string violin on “Skid Row.” First interested in the potential for a column, Steve becomes curious about Nathanial’s past, which includes having been a promising student at Juliard. Much like Missoula, listed about, The Soloist is a trek into a major issue in our society: homelessness and the mentally ill.
What do you think of my list, have any of these books made you sad? Are there any you would add to or delete from my list?